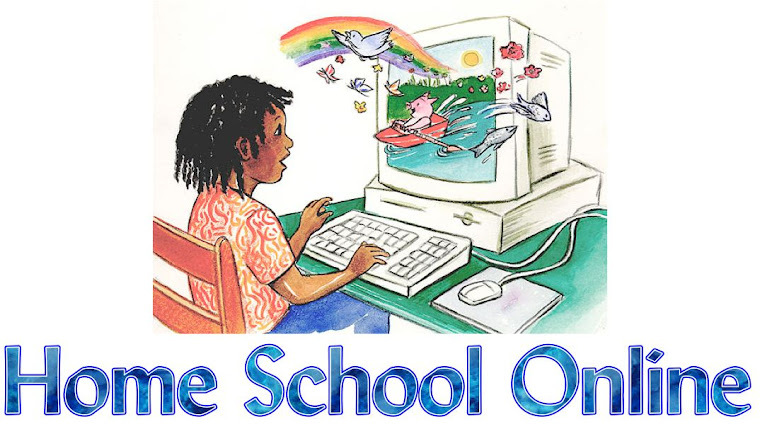 Home School Online: Hi All! I am new here on the Homeschool Online blog. I have 3 kids, 12-Biggun, 4-Honey & 3-Moose. We have homeschooled since 2003. We have used many different curriculum choices over the years. The top on our list is time4learning.com. My oldest has used time4learning.com for all his subjects at one time to only using one subject. He loves the freedom that comes with time4learning.com. We have slowly been introducing this program to my daughter and will push forward full speed soon. If you are a new homeschooler or are looking for info on homeschooling please check out the past post on this blog. Two other great places to get wonderful information about homeschooling is at Time4Learning.net forums and The Secular Homeschool forums. Both have a wealth of information on them. Well I hope you will all be back to read more.